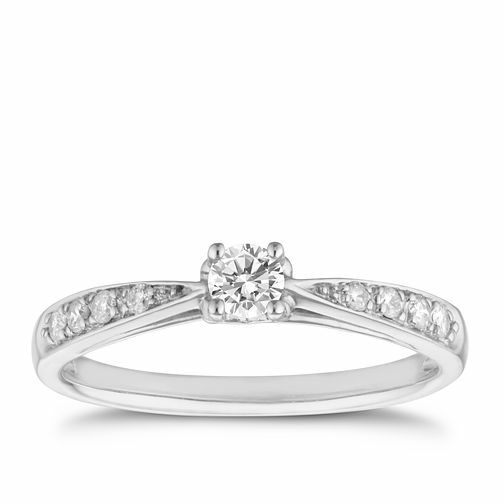 9ct white gold 1/4ct diamond solitaire ring featuring graduating diamond set shoulders. Dainty and full of sparkle. this charming ring is the perfect token of love for your special someone. 9ct white gold 1/4ct diamond solitaire ring is rated 4.0 out of 5 by 1. Rated 4 out of 5 by Anonymous from Nice but ...... Ring box damaged. Ring looks dull. Needs a polish.